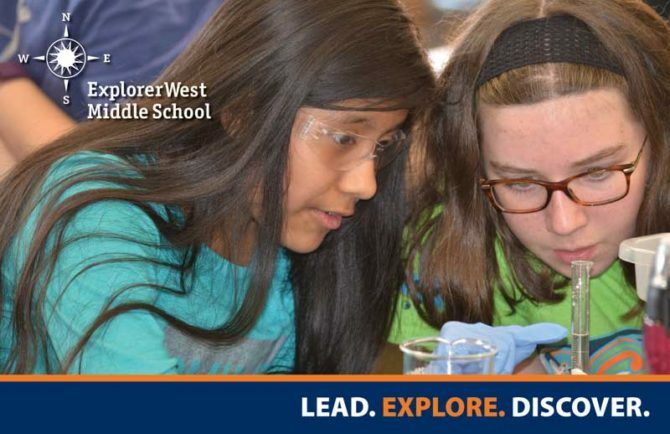 Ready to learn more about Explorer West? We welcome you to walk through the blue doors and experience our community! 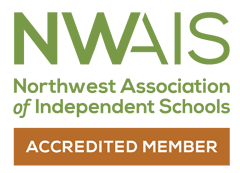 Explorer West will hold three Open Houses this Fall for families who are interested in learning more about the school for their child. Families who are interested in applying for the 2017-18 school year for 6th, 7th or 8th grade are strongly encouraged to attend one of the events to get an overview of the programs and learn more about the school. Individual student and family visits begin October 3rd and are reserved for families who are applying to the school for the fall of 2017 (please see or admissions page for details). If you are a prospective family with a student in 4th or 5th grade, Open Houses are the best way for you to learn about the school and discover if you would like to apply for 6th grade. Click on any of the dates below to link to our Eventbrite page to RSVP to the event. In addition, we will be at two fairs this Fall to share our programs with the community. Please come and visit us and learn more! Independent School Fair for People of Color, Wednesday, October 26th, 6-8 pm @ Rainier Community Center.